Leonid Moroz is an internationally recognized researcher of evolutionary neurobiology who specializes in understanding the genes associated with learning and memory. His recent research findings have been covered by media outlets such as the Associated Press, Reuters, ABC News and MSNBC. 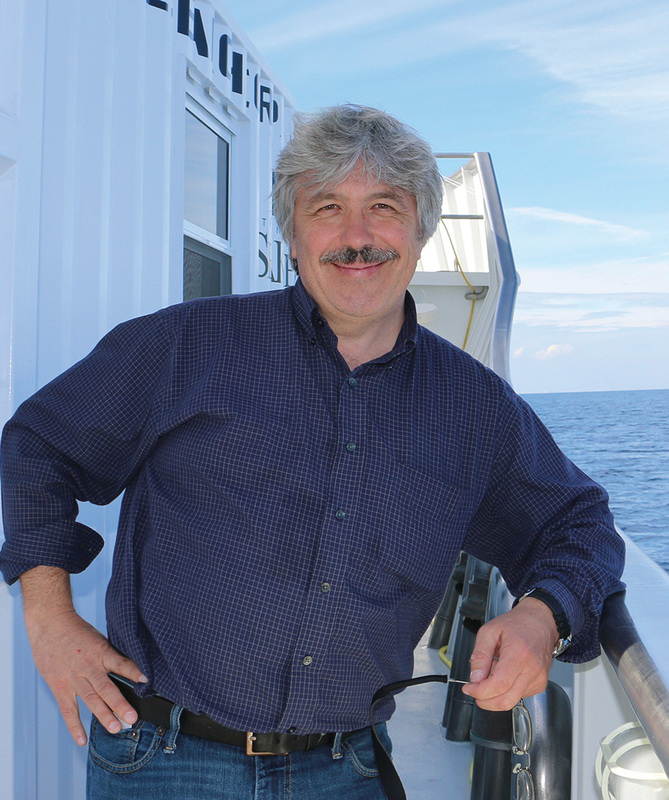 In 2014, Moroz embarked on a trip on the oceanic research ship named “Copasetic,” where he performed genome-scale sequencing while at sea with real-time computation data analysis using satellite connections from UF’s high performance HiPerGator computer. The ship allows researchers to bring a mobile laboratory to any location, offering new opportunities in research and education. “While in the Bahamas, we did a workshop in marine genomics and biodiversity for school teachers and all of the students were from an underrepresented minority,” Moroz said. The first education video produced during the research trip, called “Aliens of the Sea,” won a Telly cinematographic award in 2014 for scientific documentary and imaging. Moroz and his team are currently working on creating an illustrated atlas and scientific documentary to educate the public on topics such as marine biology and comparative neuroscience. These materials will be disseminated through the Florida Museum of Natural History and the UF Supercomputer Center. “Our program, combined with the persuasive nature of enigmatic oceanic creatures, will provide critical resources and attractions to bring together computer scientists, mathematicians, engineers and the public into field research,” Moroz said. Moroz promotes collaboration between UF scientists researching neurogenomics as well as memory research and evolution to understand the mechanisms that control neurogenesis, neural circuit formation, regeneration and neuroplasticity. “My goal is to decipher the genealogy of neurons and to use this knowledge to repair, design and construct novel neural circuits, and to enhance memory and regeneration capabilities,” he said.